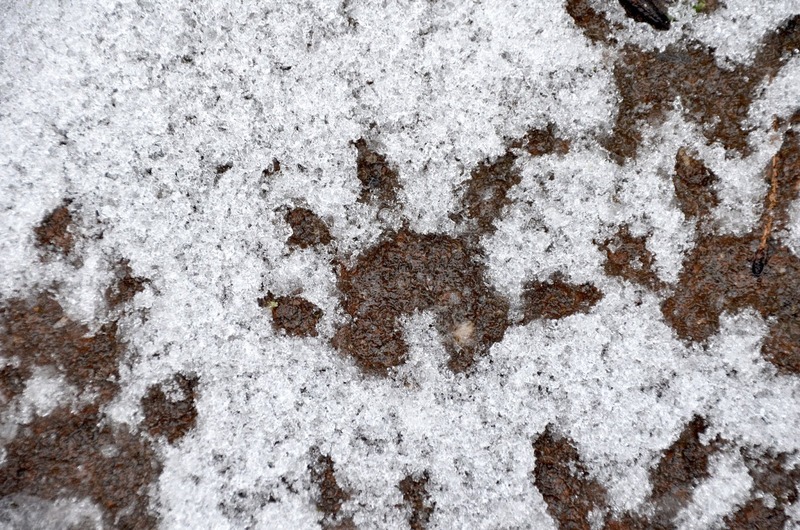 Something left these tracks in the snow near my house. Round prints over an inch across with five toes. Too big for squirrels. Not dogs or cats. What made them? I searched the Internet and found pictures of opossum tracks like this, round with five toes like a sunburst. But what sent me back outside to look again were the descriptions of the opossum's rear tracks. "Like the footprint of a human infant" they said. "With opposable thumb like a human thumb" they said. I found this. Click to enlarge. I've outlined what I think is a lone rear possum print at the edge of where the snow was melting into a puddle. 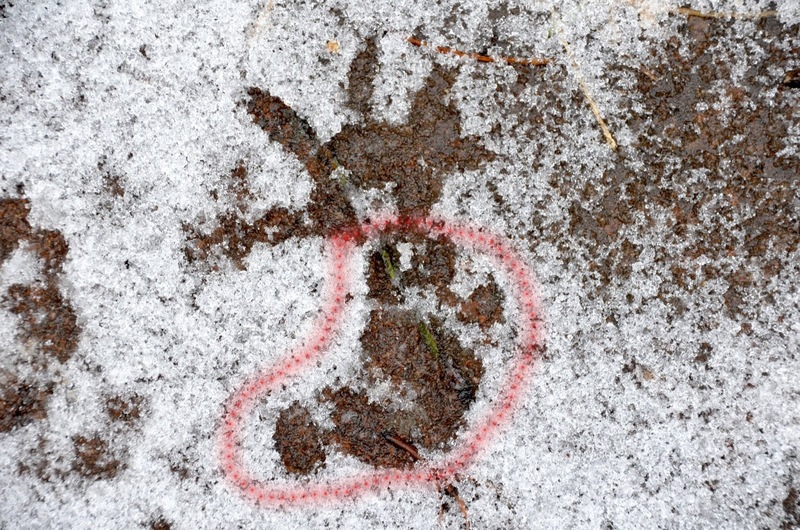 Like a human infant footprint? Yep. Like a human thumb sticking out on the lower left? Yep. 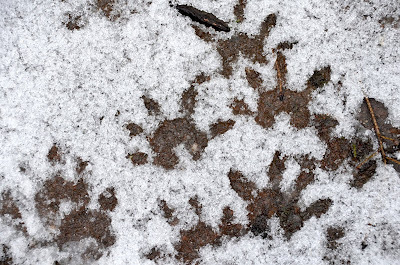 I pronounce them opossum tracks and will be on the lookout for nocturnal visits. 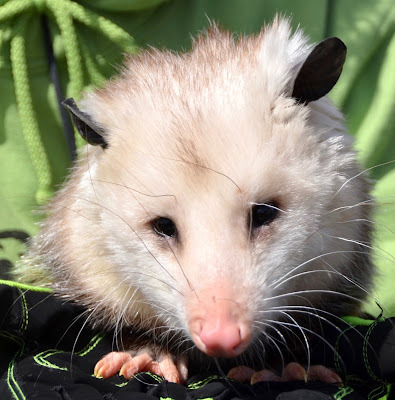 The handsome fellow above is an opossum ambassador I met this summer at a nature center event. I'm glad to have such an interesting creature in the neighborhood.